A review of the new documentary Expelled. Several weeks ago, the Answers in Genesis (AiG) staff was treated to a viewing of the director’s cut of the already-controversial film Expelled: No Intelligence Allowed.1 Expected to release April 18, Expelled is a hard-hitting, yet often humorous, documentary that chronicles how Darwin-dissenters have been ruthlessly expelled, or otherwise persecuted, in their professions. It is hosted by the very entertaining civil rights activist/economist/presidential speechwriter/cultural icon (actor and quiz-show host), Ben Stein, whom filmmakers follow as he goes on a personal quest to examine the origins question. Expelled: No Intelligence Allowed has become controversial not only because it exposes those academicians who persecute people who have a belief in the appearance of “design” in nature, but also because the film is already generating a negative reaction (including from some of the film’s subjects who come off in a highly unflattering way, including famed atheist-scientist Richard Dawkins). The brilliant host of Expelled, Ben Stein, makes a point during his meeting with AiG-U.S. President Ken Ham just before a preview showing of his film. This superb documentary comes to theaters nationwide on April 18. As a demonstration of how the evolution police can mete out injustice, the film’s first “persecutee” is an evolutionist himself: Richard Sternberg. He does not doubt evolution, yet Sternberg’s very act of allowing a peer-reviewed research paper that presented evidence for intelligent design to be published in a science journal (Proceedings of the Biological Society of Washington) led to his forced resignation and a career “ruined.” Sternberg, with two PhDs, was the target of the anti-creationist group National Center for Science Education and the Smithsonian Institution (where Sternberg was a researcher), as these groups orchestrated an effort to have him expelled from his position. In another segment, Michael Shermer, head of the Skeptics Society, described Intelligent Design (ID) as mostly nonsense and would not come to the defense of fellow-evolutionist Sternberg. Shermer bizarrely contends that Sternberg must have done something wrong to have been forced out (even though Shermer admits on camera that he did not know what that might have been). At film’s end, Dawkins makes a remarkable concession—probably jaw-dropping for those who have read his books or watched his media interviews. When pressed by Stein, Dawkins allows for the possibility that life’s apparent design could have been produced by intelligent beings elsewhere in the universe—who themselves had evolved and then brought life here! Between Sternberg and Dawkins, the film is punctuated by examples of shameful mistreatment (e.g., the highly qualified Guillermo Gonzalez, denied tenure at Iowa State University), expulsion (e.g., Caroline Crocker from George Mason University), and silliness (e.g., protestors outside AiG’s Creation Museum on opening day last May). Other ID-sympathetic academics give accounts of their persecution in silhouette to maintain their anonymity; these segments bring back memories of the dissenting authors of Soviet Russia who wrote under pen names to avoid being expelled (usually to a frozen Siberia). In the second half of the film, Expelled settles into a very serious tone, especially in those scenes when Stein visits World War II death camps and explores the connection between the Nazi worldview and Darwinian thinking. Stein is brilliant in these scenes as he goes with the flow of the story as it unfolds in front of him and as he carefully listens to the answers he receives—and then follows up with penetrating questions. He is obviously not working from a tight script. Yet there are some bright lights and moments of sanity in this penetrating documentary. John Lennox of Oxford correctly points out that all scientists have biases and worldviews that they bring to their research—and then to the conclusions they draw from evidence. Also, David Berlinski, a mathematician and philosopher, sits down with Stein and eloquently brings up the problems with evolution (comparing it to a “room full of smoke”). Although not an ID film, Expelled does present a scientific defense of the idea of intelligent design (one that AiG would largely accept). The incredible complexity seen in a molecule like DNA is shown on the screen (though viewers uninterested in science may have their eyes glaze over during this animated section). Expelled asks the question often posed by creation scientists: where does the new genetic information come from as a mechanism to drive molecules-to-man evolution? Natural selection cannot explain the rise of new genetic information. 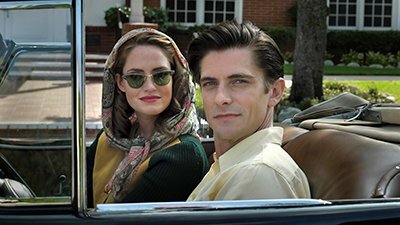 Overall, the film is more about exposing the fear of evolutionists in allowing free speech in scientific inquiry (and their accompanying tyrannical behavior) than it is an anti-evolution piece. Stein discovers an elitist scientific establishment that has exchanged science’s supposed quest for open-minded inquiry for harsh dogmatism. Freedom, “the essence of America” says Stein (a former civil rights lawyer), is easily taken away at universities, with qualified scientists expelled for not embracing evolution. AiG has not been sanguine about elements of the intelligent design movement and some of its well-intentioned activists. But having watched the movie twice now, we note that the film is not about trying to push ID on society, much less argue that ID should be mandated in schools (which AiG would not support).7 Also, the film makes it clear that the ID movement is not a Christian one (although many evangelicals are part of it). 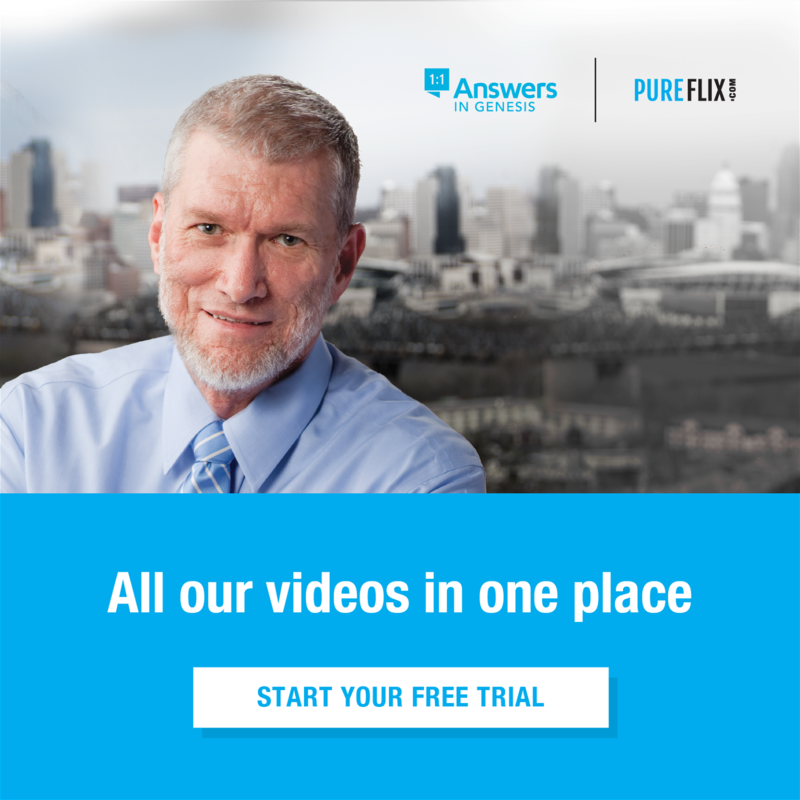 More than anything, the documentary seeks to expose the ruthlessness of radical atheists and evolutionists and their attempt to erode freedom in order to protect their own worldview. In its goal, Expelled has marvelously succeeded. This article originally appeared earlier this month on our Answers magazine website. The distinction between the two terms? Most ID advocates are not biblical creationists, for they believe in a billions-of-years-old universe and a big bang, reject a global Flood, etc. And some, like Michael Behe, accept molecules-to-man evolution (though they would say that some intelligence must be behind the process). IDers generally chafe at being labeled creationists. Many evolutionists make the mistake of stating that both camps are essentially interchangeable, and dismiss both as creationism. A part of this is due to the fact that biblical creationists, of course, do believe with the IDers that the universe is intelligently designed. See a related article at http://www.answersingenesis.org/docs2/4277news4-14-2000.asp. Another complaint already lodged by evolutionist critics of the movie is that the interviewees did not know that the movie was going to be pro-ID. 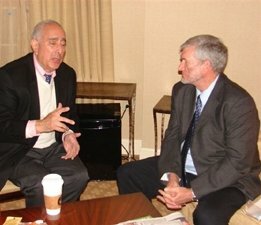 Stein counters by stating that no evolutionist he talked to even asked him what the film would be about; and one of the producers, Walt Ruloff, according to Tom Bethell (Spectator, February 19, 2008) said that interviewees were paid and even told ahead of time what the questions posed to them would be. 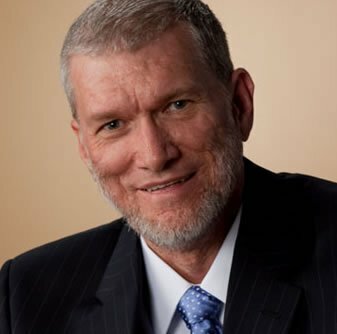 In a bizarre contention, the Associated Press quoted a Louisiana professor as stating that Ken Ham's argument about the racism-Darwin link is “a ploy to get evolution out of the curriculum” (http://news.nky.com/apps/pbcs.dll/article?AID=/AB/20080209/NEWS0103/802090335). The professor is apparently unaware that AiG has never been involved in efforts to force evolution out of public schools or introduce creation or intelligent design into them (see footnote 7 for more on this view). AiG has consistently stated that it would be counterproductive for public schools to force science instructors to teach creation or ID. Since most science teachers are evolutionists, they would teach creation or ID poorly—and the effort to introduce counters to evolution would generally backfire.